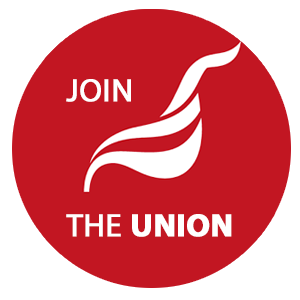 On Blue Monday today (January 21) – popularly viewed as the ‘most depressing’ day of the year – Unite is highlighting the importance of improving mental health at work and the challenges faced by mental health services amid an unprecedented NHS funding squeeze. Blue Monday was first devised in 2005 by Dr Cliff Arnall, who was asked to come up with a ‘formula’ for the January blues for a travel company aiming to sell holidays in winter. In his mock formula, which took into account factors such as the time that’s passed since Christmas, the days since many people have failed their New Year’s resolutions, the amount of personal debt that’s accrued after the holidays, cold weather and generally low levels of motivation, Arnall ‘calculated’ that the third Monday in January was allegedly the most depressing. Although only a marketing stunt – the pseudoscience behind Blue Monday has since been totally debunked — Unite and other organisations such as mental health charity Mind are appropriating the day by highlighting mental health issues that affect people from all walks of life – not only on one Monday in January but all year round. Improving mental health in the workplace is an aim that Unite has long been committed to. This commitment was revamped last year at Unite’s policy conference in July, when a unanimous composite was passed calling on Unite to ensure that every rep receives mental health training from day one, and that reps get the support they need when they shoulder the burden of helping colleagues who are mentally ill.
Unite Ford rep Andrew Kettlety is among those who has spoken out about his own personal struggles with mental ill health. At a fringe event at policy conference, he shared his experience of supporting a colleague who died after struggling with alcohol addiction. Kettlety said it wasn’t until eight months after the funeral that his colleague’s death finally hit him – he was watching television when he suddenly broke down and sobbed uncontrollably. He was lucky enough to get counselling but said access to help and education must be expanded to support reps and members alike. Unite is also backing the #WheresYourHeadAt campaign, which is aiming to change the Health & Safety at Work Act to so that workplaces must have mental health first aiders, similar to the current requirement for ‘physical’ first aiders. The initiative was founded by author and campaigner Natasha Devon MBE, who also spoke at Unite’s mental health fringe event over the summer. The campaign received a major boost last week when MPs debated a motion on Thursday (January 17) to change first aid legislation so that mental health first aiders are a legal requirement. A cross-party group of MPs voted overwhelmingly in favour of the motion. In the meantime, Unite is facilitating workplace mental health first aid training for reps and members. At conference, Unite rep Paul Mooney from Glasgow highlighted the mental health first aid training he’s undertaken through Unite and the different initiatives he’s implemented at his workplace in construction – a sector where stress and mental ill-health are common. Unite lead professional officer for mental health Dave Munday said that it was also important to highlight the crisis in mental health services, which are now being doubly hit by funding and staffing shortages. “Whilst it was good that the NHS Long Term Plan, launched earlier this month, promised an increase in the mental health spend in England by £2.3 billion, all of this money must make its way in to improving mental health services in England — unlike previous promises which have often been diverted to cover overspends in physical health,” he said. Munday emphasised the fact that we should reject the marketing ethos that now dominates Blue Monday, which is often used by companies to pressure consumers into spending more. “Companies using a time when people are finding it difficult because they haven’t got much money following Christmas is a terrible time to encourage them to spend more money,” he said, as he highlighted that Unite has been a long-time supporter of the Money and Mental Health Policy Institute which, he noted, “has done some excellent campaigning on the links between money and mental health”.